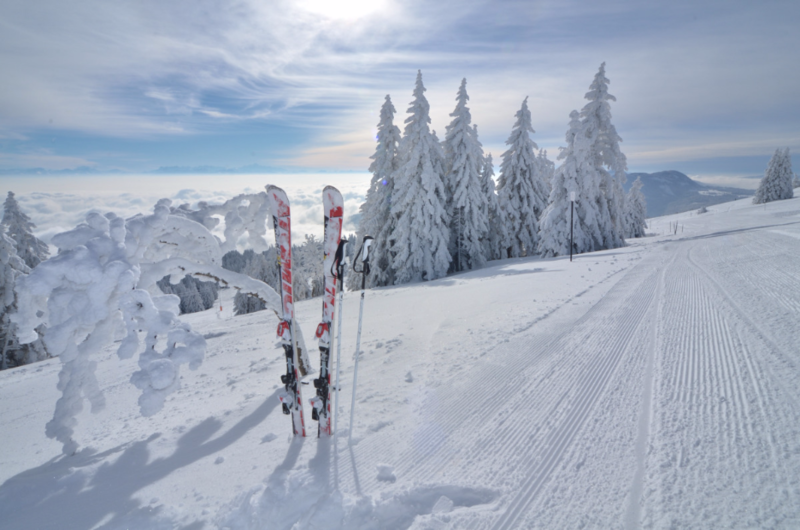 Sainte-Croix and its tourist resort, Les Rasses, have been welcoming skiers for a hundred years. The ski area rises from 1,150 to 1,580m on the intermediate slopes, which are ideal for beginners and families. Ski tows can be found in 7 installations, including one for beginners. Built in the fifties, they have been progressively replaced by recent models. The plateau of the Jura Balcony, from which the runs depart, offers an incredible panorama on the Alps, the Mont-Blanc beyond the sea of fog, or on Lake Neuchâtel.